2. Turkey Trot— Laura bond reported that Turkey Trot will be taking place this Thursday. There have been a few changes made this year. 1) They will not be writing all the names and events that people are doing. 2) People will pay, get food, and do their race. This will help speed up registration. 3) Summit Financial overpaid for bibs and therefore exceess funds purchased Gift Cards for prizes. 4) Umpqua Bank donated the ribbons. 5) The outdoor restrooms will open at 7:45 am. Food will line halls the day we get back from Thanksgiving Break. We are still in need of a hot cocoa maker for that morning. 3. Principal’s Report–Cheryl Hagseth reported that Grandparent’s Day is this Wednesday and Grading Day will be the 28th. December 9 is Spirit Day and people need to wear their Team Wear. She also reported that she and Lynn have a Rainy Day plan for On the Move established. There will be a portable for games set up on rainy days for the class out during On the Move’s time under cover. She is also working on getting the supplies needed for the kiln and needs the PTO supplies moved before they arrive. 4. Art Literacy—Rebecca reported that the Eric Carle project is done. They are trying to use the kiln in a project. Rebecca would like training on how to use it. This year’s focus is color and value. She also reported that they received a new computer and projector. 5. Treasurer- See attached—Innisbrook earned $6500. We budgeted $11,000 so we need to find another way to make money. Nancy mentioned meeting with other schools regarding their success with Jog-A-Thons. Jen Yamashiro wants a grant writer to join PTO and is really working to find one. Caryn Dennis mentioned Chinook Books as an option. Nancy will be sending the budget via email to save on paper costs. 6. RFF Vote—Cyndie reported that there were 7 requests this year. 1 was stricken due to already being in the budget and 1 more was stricked due to not following our goals as a PTO. The RFF that were granted were: 1) $60 for 4 personal CD players. 2) $866 for calculators for Everyday Math. 3) $499 for a white board projector. 4) $1818 for Laptops for the Mobile computer lab. 5) $375 for a Nonfiction Comprehension Tool Kit. 7. Website—Jen Yamashiro reported that the .com site will stay until the IRS letter comes through for our nonprofit status. We are trying to get a Facebook icon on our new site. Jason is getting everything figured out still and is working towards having multiple people having access to updating and to highlight to families what our PTO money is paying for. Teresa Nase asked about communcation Re: PTO Meetings. Jen responded that the new email system will be much better with communication. 8. EcoNetwork—Caryn Dennis reported that the Eco Network is the School’s Green Committees connecting and sharing green practices with each other. Example: A worm bin. Ridgewood recently had a clothing share. Hillary Barrett and Caryn went to a meeting where she learned of a clinic she needs to attend and learn implementation plans. It is 4 nights in February. She used to have a Green Club, but she had to cease it. She asked for ideas of how to reach our community. If you have any questions please contact Caryn Dennis or Hillary Barrett. 9. On the Move—Lynn Asbury reported that we are doing great! Kids are running a lot, but we have fewer runners. There have been fewer days off due to rain so far. We are at 100 miles less. Also, she began putting feet on the walls to promote running. Goal sheets were also sent to teachers. Rainy days are a work in progress. We also need more volunteers. There are at least enough openings for 2 per day! 10. 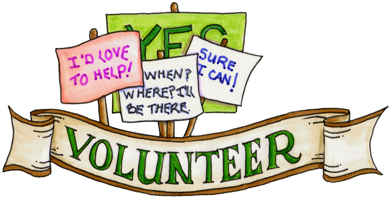 Classroom Volunteers- Kathy Moshinsky reported that she is needing a volunteer for community outreach. She is hoping to put an article in the principle’s Newsletter, the Pioneer, and the Oracle to attract grandparents. There will be a Volunteer Training on January 13 in the Work Room. 11. Movie Night—Cyndie reported that they are shooting for a January or February Night and they a Late Spring Movie Night..
12. Dinner Night Out-Piccolo Mondo Night will be taking place on November 29th. Just mention our school. Red Robin will take place in January. Brew Pub will be in April. McTeacher will be in March. 13. Girls on the Run—Cyndie ad Caryn reported that Girls on the run will be coming to Oak Hills. This is a program for 3-5th grade girls. There will be 2 Teams. They meet twice a week for 2 days after school. They will talk about positive image, team building, and running a 5K. This training is limited to a first come-first serve basis. It is $120 and includes the entrance fee to the Starlight Run. They will have an adult running buddy for this part of the class. There is a cap at 30 girls. The final practice is at Gabriel Park. Information will be coming soon.